Seems pretty straightforward: Hand a child a rectangular block of pine, two axles, four nails and four wheels, and ask them to fashion those components into a vehicle that will travel as fast as gravity can propel it and its competitors along a sloping 32-foot ramp. The result is the Pinewood Derby, a sport launched in 1953 by a California aircraft engineer named Donald Murphy, who wanted an activity he could share with his 10-year-old son. Ah, but there’s the rub. That word share. It’s one thing to hand those components to a child and ask him or her to create a racing vehicle. But bring the parents into the equation and, well, as racers have contended since the dawn of the motorsports age, it ain’t cheating until you get caught. 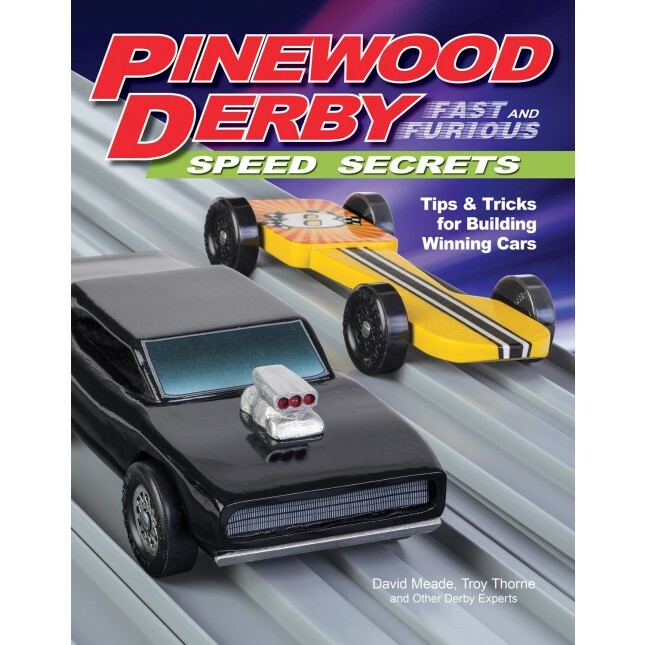 Pinewood Derby: Fast and Furious Speed Secrets, Tips & Tricks for Building Winning Cars is the latest effort by the authors to provide a guide for making your Pinewood Derby racer as fast as possible without crossing the boundaries set by the rules or spirit of the sport. “Be Trustworthy, “Be Safe” and “Be Ready” are among the early chapters. 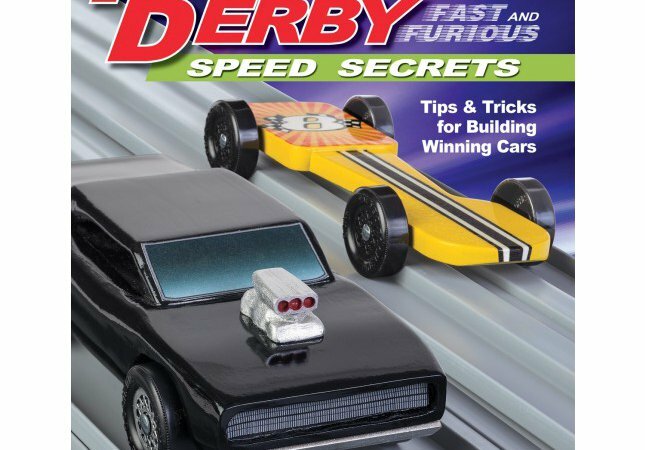 Over the next few chapters the authors go through the tools and techniques needed, offer suggestions about decorating a derby car to make it more exciting, and they also deal with such things as adding weight, polish, lubrication and wheel attachment and alignment. The book is thoroughly illustrated with how-to photography. There also are patterns you can use to guide you as you shape your own racers. In fact, you would write the entire list of rules on a piece of paper smaller than a Pinewood Derby car, which can be no more than 7 inches in length and 2 3/4 inches in width, including the wheels. Yet parents have been known to use corporate wind tunnels, expensive woodworking tools and computer programs to enhance a child’s racer. While cars cannot weight more than 5 ounces, the distribution of weight can be critical to a racer’s success. So can things such as polishing wheel bores, or removing the burrs beneath the head of the metal axles.